Mortal Kombat is not about death, but rather, the preservation of life. Liu Kang, and a few chosen fighters from the Earth Realm, defeated Outworld sorcerer Shang Tsung. According to the rules of Mortal Kombat, their victory preserved the safety of the Earth for one more generation. 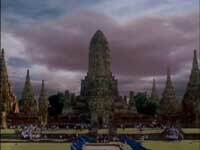 Our chosen ones were returned to Liu Kang's home here on Earth only to enjoy a brief period of peace. For someone from Outworld has a different point of view. Shao Kahn and all his deadly warriors attack the planet. The emperor of Outworld kills Johnny Cage. Now the Earth warriors have only six days to stop Kahn and save our world once again. Rayden sends Liu Kang and Kitana to Hopi Mason. There they must find Nightwolf and learn how to defeat Shao Kahn. Rayden also sends Sonya to save Jax. The god of thunders must go to the temple of The Elder Gods and demand an explanation for what of Shao Kahn is done. 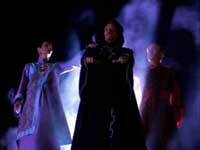 In Hopi Mason Liu Kang and Kitana are attacked by Smoke and his ninja warriors. With the aid of Sub-Zero's they defeat the cyber ninja and his assassins. Sub-Zero is ready to help them. He builds an ice bridge and so the warriors can continue their journey. But the Ice ninja is attacked by Scorpion. 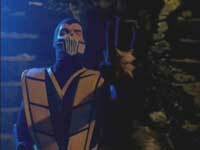 During the battle between him and the Earth warriors Scorpion kidnaps Kitana. 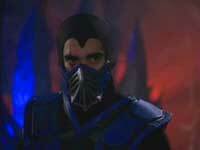 After the battle Sub-Zero disappears. 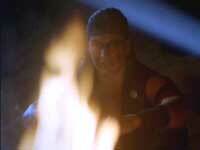 Now Liu Kang must complete his mission alone. Mj. 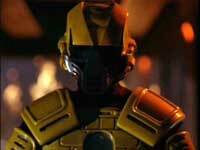 Jax Briggs and Lt. Sonya Blade are attacked by Cyrax. During the battle the whole base is destroyed. The cyber ninja fails in killing the both agents. Now Sonya and Jax must go to the Temple of The Elder Gods, where they must meet Rayden and the others. After long walking Liu Kang finally finds Nightwolf. The mystical warrior teaches Liu how to find the shape of his power and how to transform into it. After Nightwolf disappeared, comes Jade. She must guide Liu Kang to the Temple of the Elder Gods. Sonya is in battle with Mileena, Kitana's evil twin sister. But she is no match for Sonya. Rayden demand an explanation for all what is happened. The Elder Gods tell him, that they cannot control everything. The Earth will be save only when Shao Kahn is destroyed. 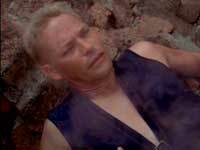 To stop Kahn and to can go through the portal between the Earth and the Outworld Rayden must lose his immortality and transform into a human. After that Sonya and Jax meet Liu Kang and Jade and they all go to the temple, where they find Rayden. Shao Kahn and his new general, Queen Sindel attack and destroy the temple of the Elder Gods. 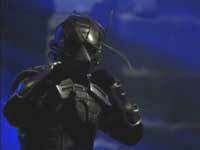 In the last moment the Earth warriors success to enter the Outworld through the portal. Sindel and Jade try to make a trap for the warriors but unsuccessfully, and after that Jade is killed by her emperor. Liu Kang goes and saves Kitana. He kills 3 Baraka warriors and Sheeva. Rayden tells his warriors that he and Shao Kahn are brothers and that Shinnok is their father. Now it is time for the last battle. Rayden is murdered by Shao Kahn himself and now Liu Kang is the only hope. But the Elder Gods are also here. They deprive Shao Kahn of his immortality. Now Liu Kang has the chance to defeat him. The battle is over. Shao Kahn is no more. The Earth is save, but for how long.  Rayden is now an Elder God. He will take the place of his father in the temple of the Elder Gods. Sindel remembers everything about her past. He and her daughter Kitana will now rule Edenia in peace.